Purple Smokebush is not a plant that I often use – in fact when I first studied it during a horticulture class, I didn’t particularly like it. But this fall I was looking for a plant with purple foliage in the summer, and great fall color. I needed it to be a mid to large sized shrub and be tolerant of pruning. 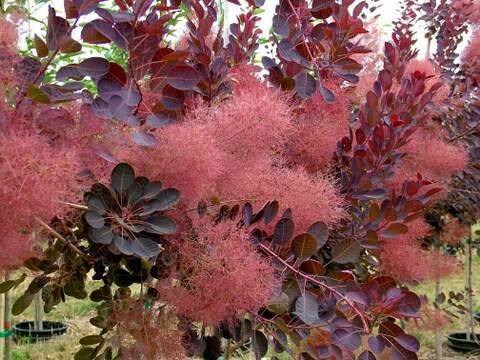 I considered several options before deciding on the Royal Purple cultivar of Cotinus, which met all of those criteria. I planted it adjacent to my screened in porch where it will provide summer shade and a great fall color contrast to an established Fothergilla. One of the benefits of my job is that I get to experiment with lots of plants. I prefer to try most plants in my own garden before recommending them to a client, and sometimes I plant something that I don’t love. I decided to remove a few plants in my front yard this fall and had a spot for an interesting specimen planting. I decided on an ornamental conifer and spent weeks researching different options. 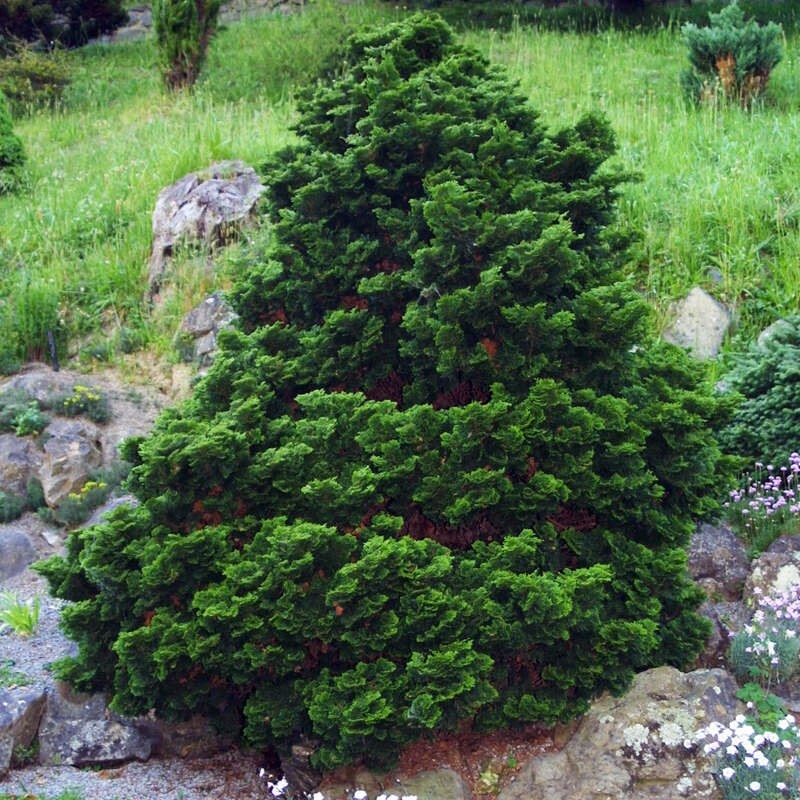 In the end I selected a cultivar of Hinoki Cypress. I needed a compact plant with interesting foliage that could be a focal point when viewed from my front walkway. I’m excited to see how both plants perform in my landscape over the next year. Interested in adding something interesting to your garden? Contact Bright Leaf Landscaping at (919) 619-4460 or fill out our online contact form. Design and installation are our expertise, and we are always happy to meet with new clients to discuss potential projects!